The reason I think it is important to spend time on this topic is because of the tremendous impact that red clover could have on so many farms that currently have very few legumes. If people are ‘afraid’ of red clover and exclude it from their forage system (in reasonable proportion), I believe that they will generally be poorer for it. Concerned about red clover?? Who, me??? Are phytoestrogens really present and can/will they present a problem for my animals? Which other species can be frost-seeded, and how is that best accomplished? What other methods might work? Variety – how important is it? Time of year: Australian research suggests that formononetin levels in red clover are higher in the spring and taper off after flowering. proportion: if you feed you animals only one species of plant (or even sometimes if you are heavily skewed in toward one species), your animals are more likely to develop any theoretical problems associated with that species. 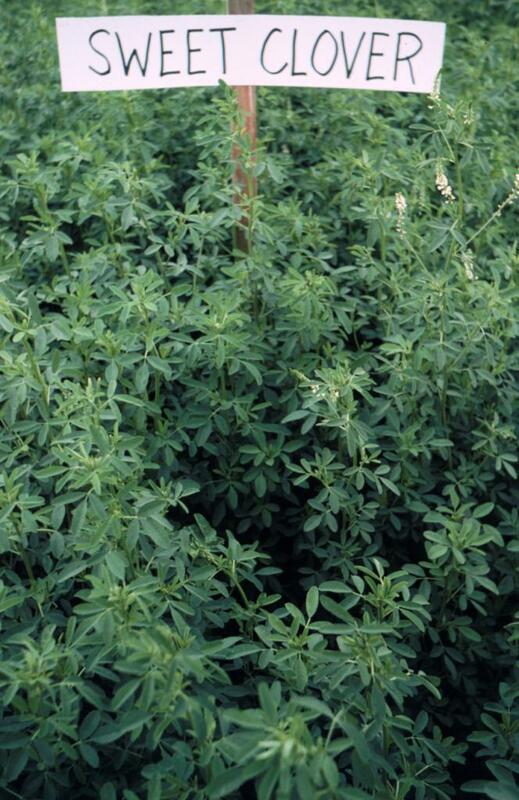 Many plants (including alfalfa, ryegrass, etc) can be found on lists of toxic plants. animal stress: animals that are stressed because of management issues are more prone to succumb to secondary influences that otherwise would probably not be a problem. genetics of the variety planted: some varieties have higher levels of various compounds, including phytoestrogens (specifically, formononetin). Apparently there have been many varieties of red clover that have been developed with the goal of having lower levels of phytoestrogens. I could only find reference to two: Aber Ruby is available in the U.K., and a variety called Redquin does not seem to be available any longer. Some time ago, I asked a colleague (sheep specialist and sheep farmer from another state) this question because I have heard a lot of people wondering. He has probably gotten the question more than anybody. While he affirms the reality of the problem on subterranean clover in Australia, he has never seen it in the Eastern U.S. This does not mean that it has never happened here — only that it is very rare if it ever does happen. One theory is that because ‘clover disease’ exists, it can be a convenient scapegoat for reproductive problems that are more likely related to other husbandry problems occurring on the farm. To be clear, most legumes do have phytoestrogens of various types, and they always have [no, Monsanto did not put them there]. Under what circumstances can they become a problem? Some researchers in the U.K. and Australia have documented impacts of red clover on ewe reproduction. Other researchers have found no adverse impacts. One study (to which I only have access to the abstract) showed a significant impact of red clover on lambing percentage, but it appeared as though the red clover pastures were PURE red clover – which nobody would ever recommend, for various reasons. If you want to see a full review of the literature on the subject go to: A review of the effect of legumes on ewe and cow fertility. Understand that this is a review of what has been said by researchers in different places over the years. The conclusion of the paper is that more work needs to be done. Can a researcher induce reproductive problems on animals in their studies under some circumstances? Absolutely! And it is often so fascinating to the researcher that often forget to consider and/or communicate the practical management implications of their findings if any exist. Either that or they run out of money. What about the impact of red clover on swine reproduction? Most of the research that I came across on this topic focused on soy and mycotoxins (zeralenone, in particular); nothing about clover. So why the buzz over the years about phytoestrogens in red clover? It seems to me that this is where human psychology comes in. When we hear that something can or has been a problem in some circumstances, it can begin to loom very large in the minds of some. Airplanes can crash and it has happened. Yet, we are told that air travel is safer (statistically) than driving a car. Even so, some people will not get in an airplane because airplanes can crash and that would be scary. What has practical experience suggested? 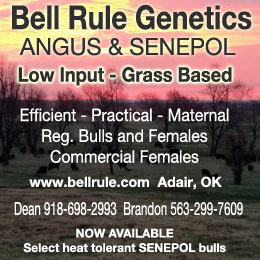 There are a lot of farmers who have fed their animals diets heavy in red clover and have never detected any adverse reproductive effects on their livestock, even while experiencing higher average daily gain and more animal gain per acre. There have beenoccasions where there have [apparently] been reproductive disturbances in animal, and in some cases clover has been blamed — rightly or wrongly. See the abstract from a 1982 case report from Finland, below. See also Does Red Clover Cause Infertility in Sheep? – by Ulf Kintzel (farmer). 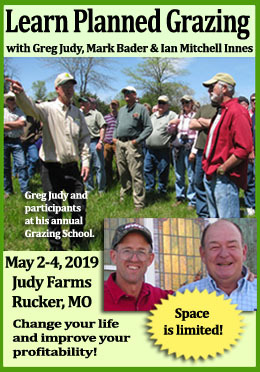 Red clover is the most popular forage crop to reseed – by far. White clover is not as quick to establish, but because it spreads by stolons, what might look like a poor seedling density can turn into a great stand of white clover over a year or two. 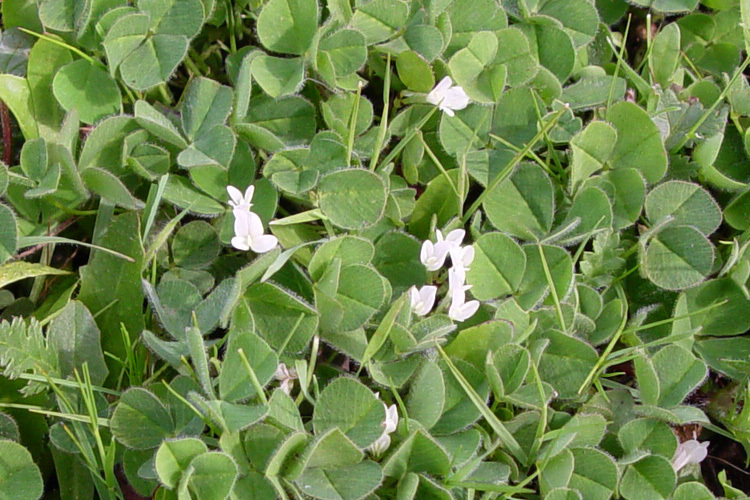 Sweet clover is often used in wheat systems where frost-seeding is carried out. It is very drought tolerant, but prefers soils with a more neutral pH. It may have a bitter taste to animals at first; like anything else, they can/will come to eat it once they know what it is. One word of caution: moldy sweet clover often has high levels of dicoumeral (i.e., warfarin, rat poison), which is a vitamin K antagonist and ultimately can lead to internal bleeding and death. Scary. Again, this is not common and it can loom large in one’s mind, but it is wise to avoid trying use it as stored feed. You can learn more about it by reading Sweet Clover Production and Utilization in Indiana. Many other grass species can also work using non-conventional establishment methods, but success will be generally be lower than with the ryegrasses. Avoid using ryegrasses on sandy soil and soils with poor fertility. 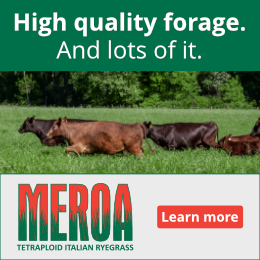 Perennial and Italian ryegrasses are known to be the most aggressive grasses during the establishment phase and you are more likely to have success with these grasses than others if you are trying to renovate an existing pasture or hay field. The question remains: do they offer what you need? While they are excellent for haylage and grazing, their waxy cuticle and low dry matter content increases the difficulty of making dry hay from them. Some perennial ryegrass varieties will persist well in Vermont, and others will not. Be sure to get the best information you can about varieties. I would far rather drill grasses into a pasture than broadcast. They are chaffy and it is too easy for them to get hung up in thatch if they are broadcast. Soil fertility: one reason that legumes are scarce in some fields is because of inadequate potassium, acidic soils, and in many cases, low phosphorus levels. Anything you can do to correct these problems will enhance the establishment and longevity of your legumes. 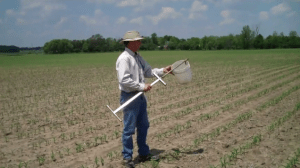 From what I have observed on most farms, if you do not know the soil fertility situations in your fields, you probably have a soil fertility problem that is negatively impacting your farm economics. 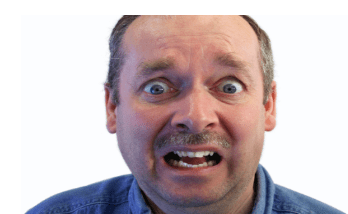 You cannot know what the particular problems are without soil testing. Inoculation is cheap insurance, and I recommend it. Whether you buy your seed pre-inoculated or purchase a liquid or peat-based inoculant from your seed dealer, it is a good idea to inoculte. That said, the bacteria clovers need for N-fixation are probably already in most soils in VT. Theoretically, over the years rhizobia can become less ‘effective’ at fixing nitrogen. I have never seen data that describes the extent to which this impacts total N fixation rates or overall pasture productivity. If it came down to frost-seeding on time without inoculation and waiting a week to get the inoculant, it seems to me that seeding on time is more important. Grass and legume variety – how important is it? While variety not state (VNS) clover can be just fine, you have NO IDEA what you are getting. I was running through this exercise with a farmer the other day. If you are going to frost-seed 100 acres at 5 pounds per acre, you would need 500 pounds of seed total. For the sake of simple calculations, let’s say that the cost of VNS seed is about $2/lb, and the cost of a named variety is about $3/lb. The total cost of the VNS seed: $1,000; and the named variety: $1,500. Wow! Five hundred dollars is a lot of money! 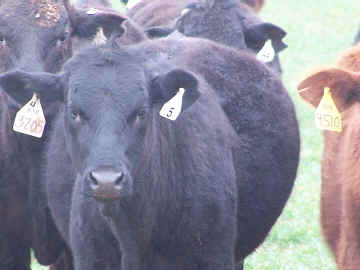 True, but if the named variety gives you only $5/acre more forage over the course of two years, it will pay for itself. The Cornell Forage Variety Trial report shows that certain varieties will yield more than one ton more than the ‘check’ variety (an old variety) over two years, and sometimes up to 0.8 tons in a single year. That is worth much more than $5/acre! Because there is variable resistance to root diseases in red clover, choosing an improved (disease resistant) variety might also allow many of the plants to survive a year longer than a non-resistant variety. 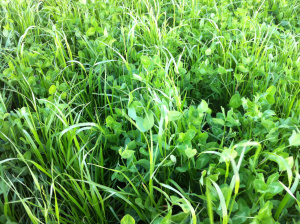 Manage your pastures in such a way that your pastures have a high percentage of clover or alfalfa. My understanding is that if you have 50% grass or more, it is very rare. Trefoil is not known to cause bloat. First thing, while the dew is still on the clover, rotate the hungry animals onto the lush, dewy clover and alfalfa such that they gorge themselves on it. Animals with bloat need to be treated quickly because they can die within an hour. Keep in mind that some animals are ‘chronic bloaters.’ This can be due to their particular dietary preferences or because of a condition unrelated to what they are eating. Generally, they are good ones to get rid of. See also:Bloat, by Dan Undersander (University of Wisconsin).